Mumbai-based startup Holachef has raised fresh funding from two of its existing venture capital investors even as food technology as a domain is going through consolidation. The food-tech startup run by Holachef Hospitality Pvt. Ltd that also counts Tata Sons' chairman emeritus Ratan Tata as an investor, bagged Rs 13 crore ($1.95 million) from Kalaari Capital and India Quotient. Kalaari led the round with $1.5 million investment, according to VCCEdge, the data research platform of VCCircle, based on filings with the Registrar of Companies. It could not be immediately ascertained if the firm marked this as its Series B round of funding. Last year, the company had secured Rs 20 crore (about $3.1 million then) in a Series A round of funding led by Kalaari. Tata and other investors had also participated in that round. Neither Holachef nor two of the investors responded to email queries seeking details of the transaction. In the latest round that was completed in April but not yet disclosed publicly, shares were issued at a 33% premium to the Series A round, according to VCCEdge. India Quotient invested in the firm from its new fund India Quotient Fund II. Holachef, which was launched by Saurabh Saxena and Anil Gelra two years ago, delivers home-cooked food to consumers. It offers select signature dishes, about 50 choices everyday, and delivers them to users. The average order price is Rs 310 and serves one person. The Mumbai-based firm claims to be available in over 100 PIN codes in the metropolis, and a handful of PIN codes in and around Powai. From 2,000 orders per month in 2014, Holachef claims to have grown to over 1 lakh orders per month in 2016. Holachef receives about two-thirds of its total orders through the mobile app on Android and iPhone. The online food ordering business in India is estimated to be Rs 5,000-6,000 crore, according to a report by India Brand Equity Foundation. The sector includes aggregators, food-ordering platforms, delivery-only players, proprietary meal sellers and cloud kitchens. Other firms offering full-stack food services include Brekkie, Faaso's and Box8. Even as there has been a bout of consolidation in the business as VC money flow slowed down, some elicited investor interest. In May, Fitmeal Solutions Pvt. Ltd, an online food-tech venture that delivers meals prepared at its kitchens under Eatonomist, raised an undisclosed amount in seed investment from MCube Capital Advisors Pvt. Ltd. In March, Cookaroo Food Network Pvt. Ltd, a Bangalore-based startup that aggregates and delivers freshly prepared meals from under-utilised commercial kitchens, raised angel funding from Highland Hospitalities' MD Vijay Krishna Yadav. Earlier this year, Food-tech startup First Eat, which is run by F. E. Food Tech Pvt. Ltd, had raised $200,000 (around Rs 1.4 crore) in seed investment from an undisclosed investor. 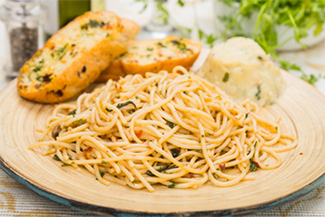 In January, FreshMenu, an online food-tech venture that delivers meals prepared at its kitchens, had raised $17 million (around Rs 110 crore) in its Series B funding round led by Zodius Technology Fund. However, several food-tech startups have been reeling under pressure to control costs and sustain investor interest. Some of them have tweaked business models, reduced staff count, halted operations or shut shop. In February, Gurgaon-based Fingertip Foods Pvt. Ltd, which operated online meal service startup Frsh.com, had closed its operations in Noida and Delhi, laying off 20 employees in the process. Last year, Bangalore-based Eatlo Tech Solutions Pvt Ltd, which operated food delivery startup Eatlo, had closed operations just five months after it raised angel funding from Powai Lake Ventures, Abhishek Goyal of Tracxn Labs and equity crowdfunding platform Globevestor.